A group of Master Masons talk about topics of Masonic interest--each from their own unique perspective. You'll find a wide range of subjects including history, trivia, travel, book reviews, great quotes, and hopefully a little humor as well on topics of interest for Freemasons and those interested in the subject of Freemasonry. How Do I Become A Freemason? As Worshipful Master of Ogden Lodge No. 754 (IL), it was my pleasure at our most recent stated meeting to announce the creation of the Carl D. Lewis Mason of the Year Award. This award will be given annually by the WM, to a member of Ogden Lodge for outstanding service. Carl D. Lewis was a 69-year member of Ogden Lodge who passed away in December 2018. He was our long-time Tyler and was serving as Marshall for the current year. Carl was one of the first people to greet me every month, always asked how the family was doing and was a true pleasure to be around. He was just simply an outstanding person. As a member of the Greatest Generation, Carl served in WW 2 as a ball turret gunner on a B-17, had a career with Standard Oil, was a member of the Ogden Methodist Church, Ogden Lions Club and the Ogden American Legion. 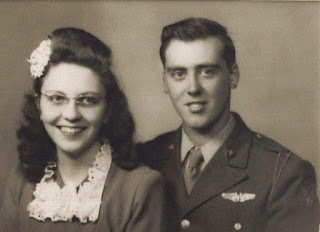 He and his wife Charlene Denhart Lewis were married for more than 72 years and had three sons, seven grand-children and 10 great-grandchildren. So, it only seemed fitting to create an award that focuses on how Carl lived his life, serving others. I chose RWB Denver R. Phelps as the first recipient for this new award. Denver has worked tirelessly in helping mentor countless numbers of new brothers over the years. He has served as WM of Ogden Lodge No. 754, Homer Lodge No. 199, DDGM, Assistant Area DGM and was a lodge Secretary for years. Additionally, he is a Navy Veteran and extremely active in the American Legion and once served as the national Sargent at Arms for the American Legion. He was Fire Chief for the Ogden-Royal Fire Department, serves as an election judge and in numerous other capacities in serving the community. I think Carl would be pleased with Denver as the first recipient of this award. WB Gregory J. Knott is the Worshipful Master of Ogden Lodge No. 754 in Ogden (IL) and a plural member of St. Joseph Lodge No. 970 (IL), Homer Lodge No. 199 (IL) and Naval Lodge No. 4 in Washington, DC. WHO ARE THE MIDNIGHT FREEMASONS? Our Regular Contributors Are . 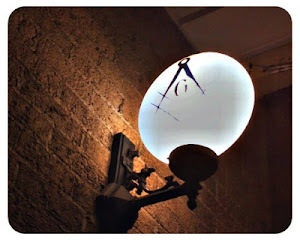 . .
RWB, Robert Johnson is the Managing Editor of the Midnight Freemasons blog. He is a Freemason out of the 1st N.E. District of Illinois. He currently serves as the Secretary of Spes Novum Lodge No. 1183 UD. He is a Past Master of Waukegan Lodge 78 and a Past District Deputy Grand Master for the 1st N.E. District of Illinois. Brother Johnson currently produces and hosts weekly Podcasts (internet radio programs) Whence Came You? & Masonic Radio Theatrewhich focus on topics relating to Freemasonry. He is also a co-host of The Masonic Roundtable, a Masonic talk show. He is a husband and father of four, works full time in the executive medical industry. He is the co-author of "It's Business Time - Adapting a Corporate Path for Freemasonry" and is currently working on a book of Masonic essays and one on Occult Anatomy to be released soon. Bro. Steve Harrison, 33° , is Past Master of Liberty Lodge #31, Liberty, Missouri. He is also a Fellow and Past Master of the Missouri Lodge of Research. Among his other Masonic memberships are the St. Joseph Missouri Valley of the Scottish Rite, Liberty York Rite bodies, and Moila Shrine. He is also a member and Past Dean of the DeMolay Legion of Honor. Brother Harrison is a regular contributor to the Midnight Freemasons blog as well as several other Masonic publications. Brother Steve was Editor of the Missouri Freemason magazine for a decade and is a regular contributor to the Whence Came You podcast. Born in Indiana, he has a Master's Degree from Indiana University and is retired from a 35 year career in information technology. Steve and his wife Carolyn reside in northwest Missouri. He is the author of dozens of magazine articles and three books: Freemasonry Crosses the Mississippi, Freemasons — Tales From the Craft and Freemasons at Oak Island. WB Bill Hosler was made a Master Mason in 2002 in Three Rivers Lodge #733 in Indiana. He served as Worshipful Master in 2007 and became a member of the internet committee for Indiana's Grand Lodge. Bill is currently a member of Roff Lodge No. 169 in Roff Oklahoma and Lebanon Lodge No. 837 in Frisco,Texas. Bill is also a member of the Valley of Fort Wayne Ancient Accepted Scottish Rite in Indiana. A typical active Freemason, Bill also served as the High Priest of Fort Wayne's Chapter of the York Rite No. 19 and was commander of of the Fort Wayne Commandery No. 4 of the Knight Templar. During all this he also served as the webmaster and magazine editor for the Mizpah Shrine in Fort Wayne Indiana. 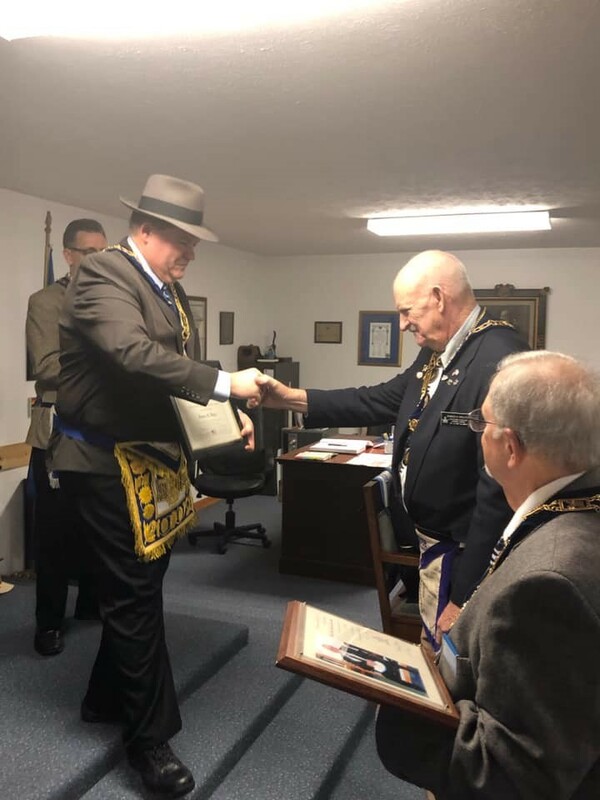 WB Darin A. Lahners is the Worshipful Master of St. Joseph Lodge No.970 in St. Joseph and a plural member of Ogden Lodge No. 754 (IL), and Homer Lodge No. 199 (IL). He’s a member of the Scottish Rite Valley of Danville, a charter member of the new Illinois Royal Arch Chapter, Admiration Chapter No. 282, and is the current Secretary of the Illini High Twelve Club No. 768 in Champaign – Urbana (IL). He is also a member of the Eastern Illinois Council No. 356 Allied Masonic Degrees. You can reach him by email at darin.lahners@gmail.com. Brother Travis Simpkins is a freelance artist with clients throughout the United States and Europe. He currently works on projects for the Supreme Council, 33°, NMJ in Lexington, Massachusetts. He also serves as a portrait artist for the Grand Lodge of Massachusetts, Grand Lodge of New Jersey and other jurisdictions across North America. Bro. Simpkins is a member of Morning Star Lodge A.F. & A.M. in Worcester, Massachusetts. He is a 32° Mason in the Ancient Accepted Scottish Rite, NMJ- Valleys of Worcester and Boston. He is also a member of Eureka Royal Arch Chapter, Hiram Council of Royal & Select Master Masons and Worcester County Commandery No. 5, Knights Templar. Brian L. Pettice, 33° is a Past Master of Anchor Lodge No. 980 and plural member of Olive Branch Lodge No. 38 in Danville, IL and an Honorary Member of a couple of others. He is also an active member of both the York and Scottish Rites. He cherishes the Brothers that have become Friends over the years and is thankful for the opportunities Freemasonry gives and has given him to examine and improve himself, to meet people he might not otherwise have had chance to meet, and to do things he might not otherwise have had chance to do. He is employed as an electrician at the University of Illinois and lives near Alvin, IL with his wife Janet and their son Aidan. He looks forward to sharing the joy the fraternity brings him with others. His email address is aasrmason@gmail.com. Freemasonry is the oldest and the largest fraternal order in the world. It is a universal brotherhood of men dedicated to serving God, family, mankind and country. The focus of The Midnight Freemasons is primarily on subjects relating to Freemasons and Freemasonry. However, any opinion expressed are those of the contributor alone, and are not meant to reflect in any way, shape, or form, implied or otherwise, the opinions or beliefs of the fraternity of Freemasonry as a whole. All content, unless othewise attributed, is copyrighted © 2007-2018 by The Midnight Freemasons. All rights reserved. We encourage you to share our work, but due to previous abuses, we ask that if you reprint anything you find here, please send us a link so that we can be certain that the piece is posted in its entirity and that the authorship is properly attributed. You'll find our email address in our contact information.